Cowl is one of the most fashionable accessories nowadays. It is warm, it is cozy, it looks great on anyone and it is easy to make. Any knitter can make a cowl. Even if your knitting experience is limited by a garter stitch washcloth, you can knit a cowl with just a bit of patience. 1. Choose a stitch pattern you like. Go to Stitch Pattern Library for inspiration. Pay attention on how the pattern looks on the wrong side so that the cowl looks good on both sides. Make a swatch at least 30 stitches wide and 40 rows long. Measure the swatch to determine how many stitches and rows make 10 cm / 4" of your swatch. 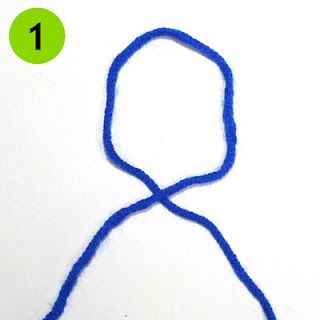 Round the number of stitches you got from the calculation above to the multiple of stitches called for in a stitch pattern. 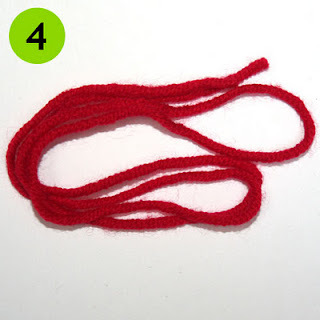 For example, you measured your swatch (see step 1) and found out that there are 20 stitches in 10 cm. You plan to make a cowl 15 cm wide. So you calculate: 20 stitches / 10 cm X 15 cm = 30 stitches. 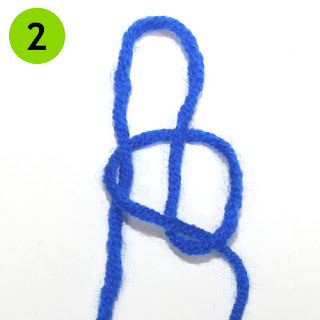 You picked a stitch pattern that calls for multiple of 4 stitches. If you cast on 30 stitches you will fit 7.5 (30 stitches / 4 stitches in a repeat) pattern repeats which is not convenient to knit. 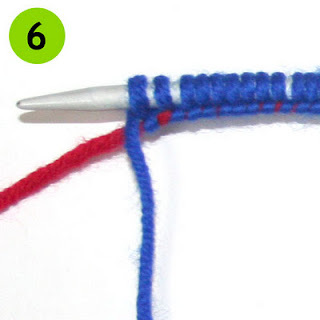 It's better to round the number of stitches so that you can fit 7 or 8 repeats, that is you should cast on 28 or 32 stitches. If you want to make nice looking edges, you'd better add 2 more selvage stitches. Once you calculated the number of stitches you need, proceed to the next step. a) Make a slip knot as shown in figures 1, 2, 3.
b) Cut a piece of scrap yarn approximately 100cm / 40" long. 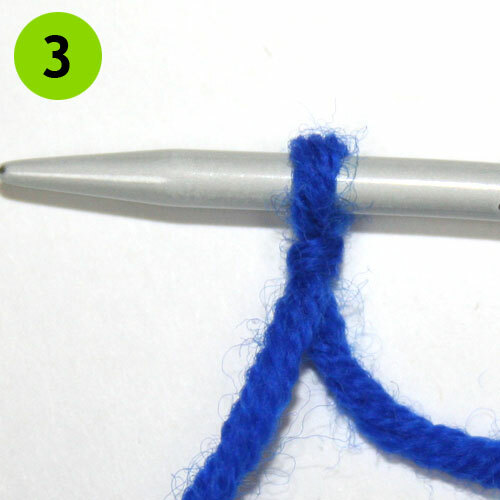 See figure 4.
c) Hold the scrap yarn near the slip knot and take the working yarn under it, then take the working yarn over the needle from front to back and bring the working yarn back in front of the scrap yarn. See figure 5.
d) Repeat step (c) till you cast on as many stitches as you need. Your stitches should be similar to those shown in figure 6. 4. Now you can relax and enjoy knitting. 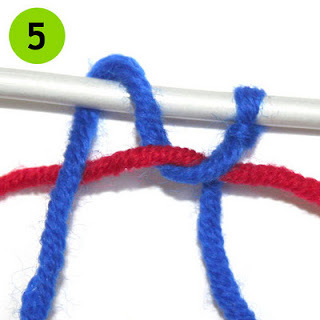 Follow the stitch pattern instructions and knit a flat piece approximately 55 - 100 cm / 22 - 39" long. When you are done check my blog for the second part of "How to make a cowl" instructions. You will only have one more step to perform - grafting. This is exactly what I want to start making .... my daughters love these. Thank you.